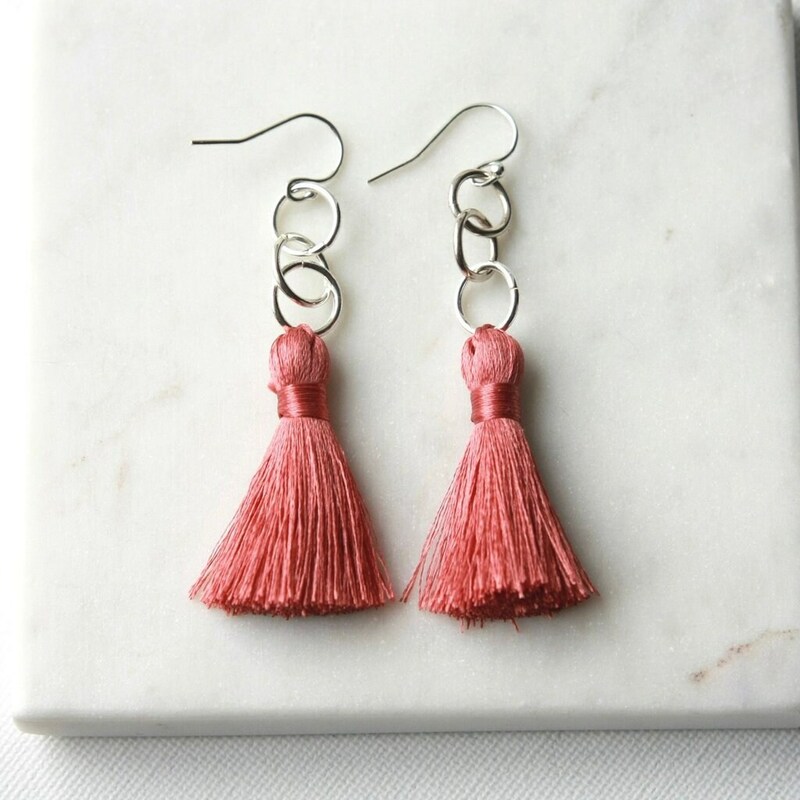 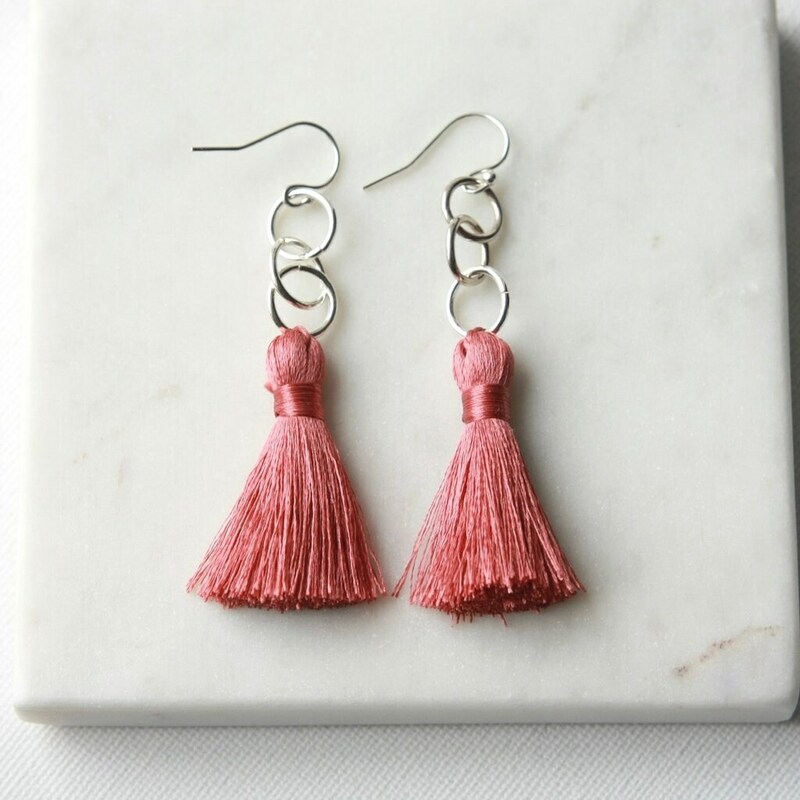 Raise your hand if you love tassels as much as I do! 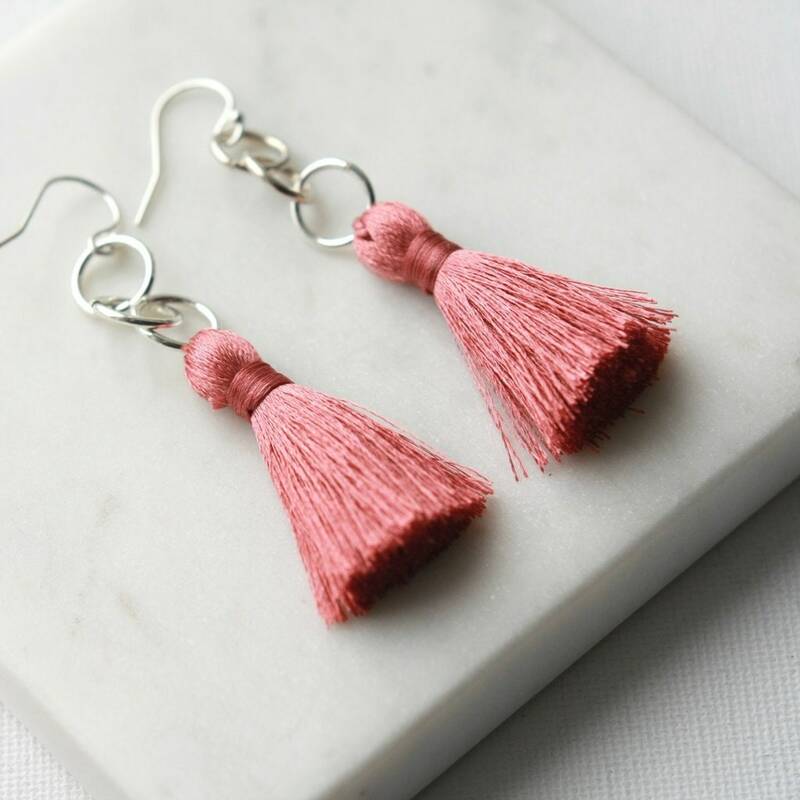 They are just fun - no wonder they are so trendy right now. 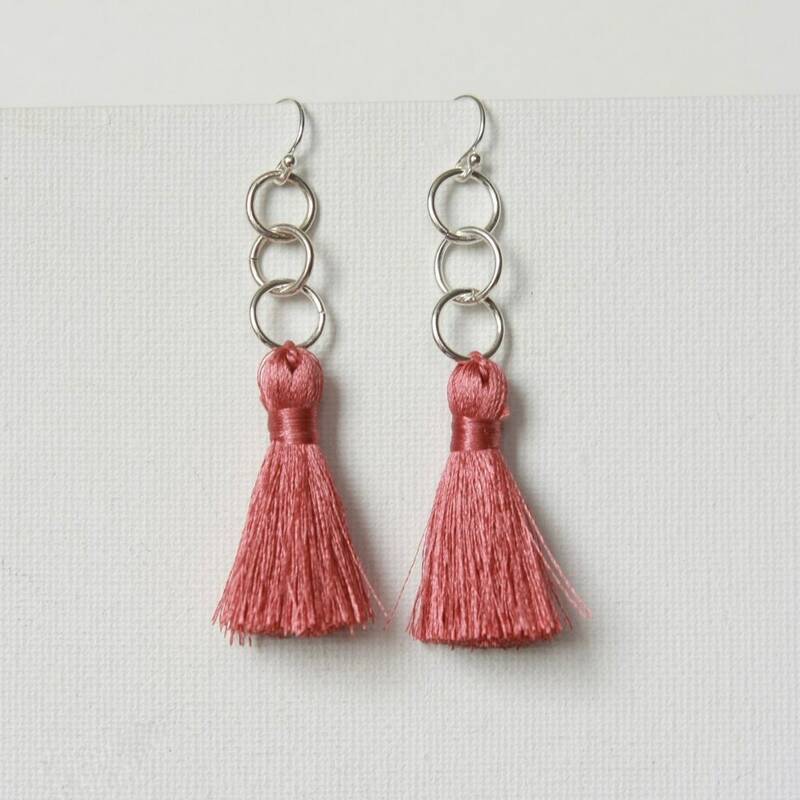 I couldn't resist this color, it's the prettiest shade of coral and dusty rose. 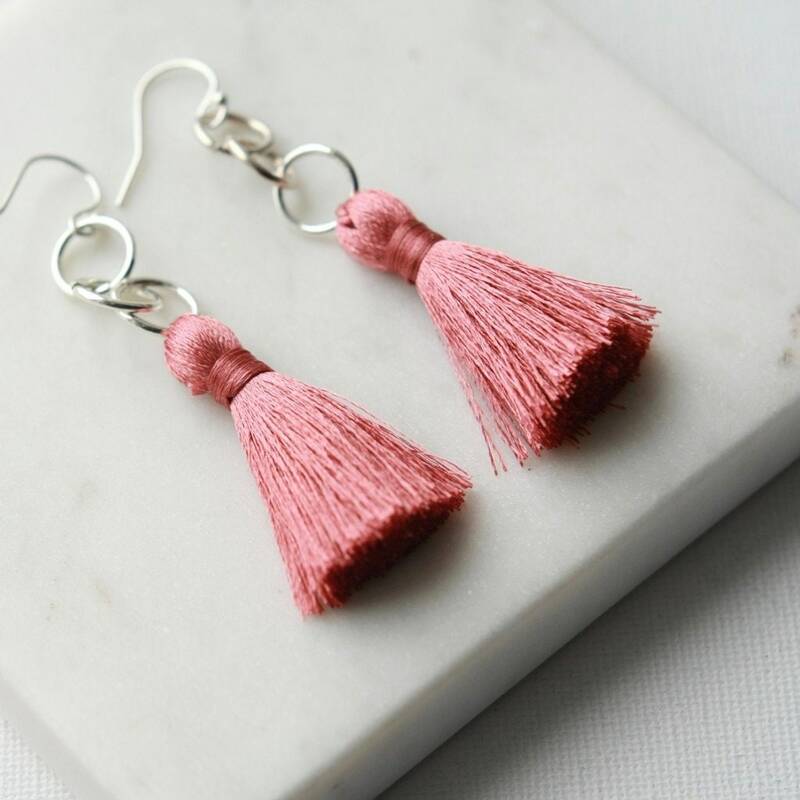 The silky tassels are 1.25 inches long and I've paired them with simple 10mm sterling silver circles for a fabulous geometric look. 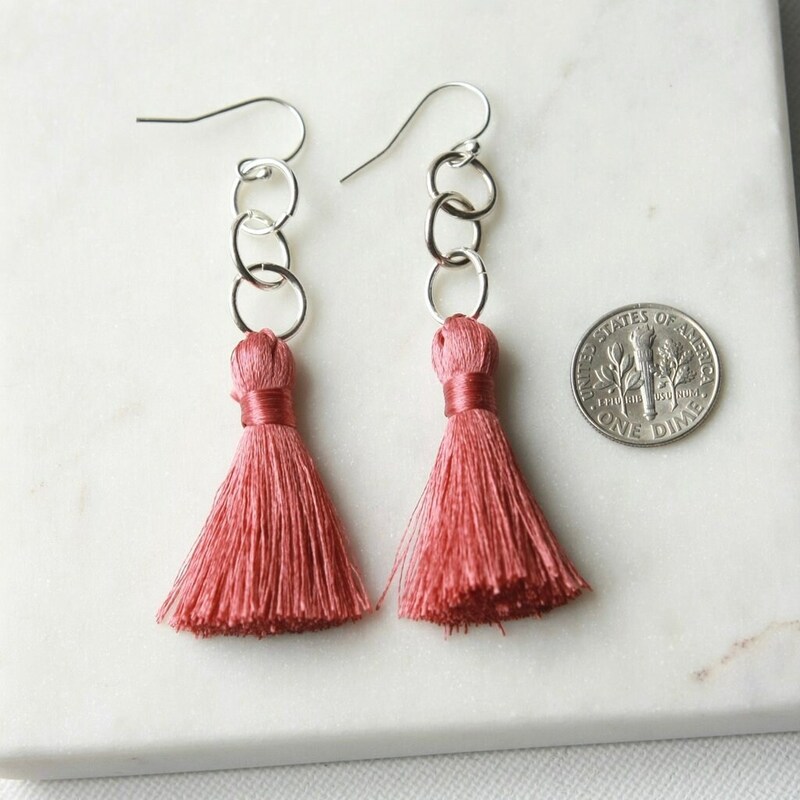 The earrings dangle a little over 2.5 inches from the top of the sterling silver ear hooks.